So, four new experimental craft have been built, all of them aluminum and ranging from 95 to 105 feet in length. 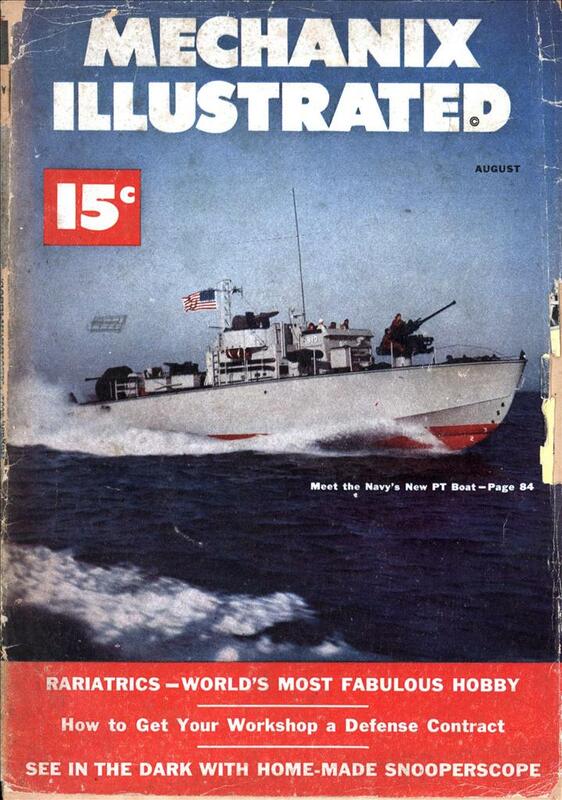 They’re propelled by bigger and more powerful engines with a top speed greater than that of the fastest destroyer. And they have a much greater range than the old 80-footers. 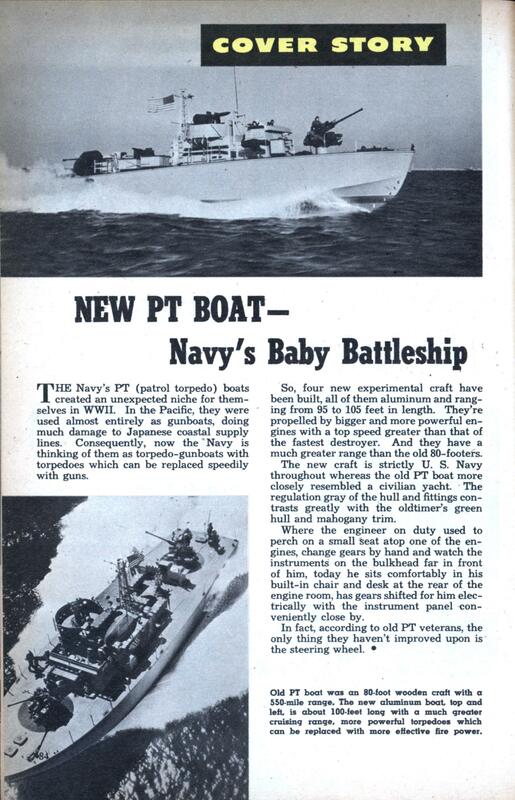 The new craft is strictly U.S. Navy throughout whereas the old PT boat more closely resembled a civilian yacht. The regulation gray of the hull and fittings contrasts greatly with the oldtimer’s green hull and mahogany trim. Where the engineer on duty used to perch on a small seat atop one of the engines, change gears by hand and watch the instruments on the bulkhead far in front of him, today he sits comfortably in his built-in chair and desk at the rear of the engine room, has gears shifted for him electrically with the instrument panel conveniently close by. In fact, according to old PT veterans, the only thing they haven’t improved upon is the steering wheel.